A story in the Los Angeles Times illustrates the dangers farmers face in growing and harvesting medical marijuana in California. While the media so often focuses on the debate surrounding the marijuana collectives and the retail side of the industry, our Los Angeles medical marijuana defense lawyers understand the problems faced by legitimate farmers in the fields of California’s Central Valley. As we reported on our Marijuana Lawyer Blog, Proposition 19 would not only legalize marijuana and allow local governments to tax its sale, it also has cities like Oakland considering ways to better regulate its growth and sale at the wholesale level. The Times tells the story of a farmer who killed a 17-year-old suspected gang member during what was allegedly the attempted robbery of a marijuana farm. 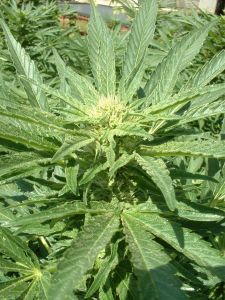 While the farms have medical marijuana cards to shield them from law enforcement, they are still subjected to the constant threat of robbery, particularly in September and October when most crops enter harvest season. In the past month, at least five confrontations with growers have been reported in the Central Valley, two of them fatal. In response, Fresno County passed an emergency ban on outdoor marijuana cultivation, just another example of local government policies infringing on the legal rights of California’s marijuana industry. Not until city and county governments treat the marijuana industry as the legal, legitimate businesses that they are will we begin to move past small-minded bans and prohibitions that have no chance of success. This is another example of punishing the victim — just as the Los Angeles sheriff recently blamed collectives for being robbed. In this case, farmers are prohibited from harvesting a legal crop because they are at risk of being robbed? Where is law enforcement?